« October TechTalk : What is Data Science? 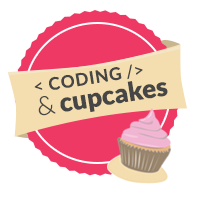 Join us for our monthly coding series, Coding & Cupcakes. Parents and daughters are invited to attend sessions to learn about code together. Attendees will learn how to program Jewelbots, bluetooth enabled smart bracelets! One ticket per daughter – this includes your own Jewelbot! One wifi-enabled laptop per girl is required (see FAQs for requirements). Note: Jewelbots curriculum NOT compatible with Chromebooks). Delicious cupcakes from BabyCakes will be provided for coding fuel! Jewelbots are friendship bracelets for the iPhone era. Technology-enabled jewelry for tween and teen girls, they’re a means of communicating with friends by lighting up when a BFF is near or buzzing to send messages to a pal across the school. What are Jewelbots coded in? What is required to attend? A wifi-enabled laptop, with windows, linux, or osx operating system and permissions to download software (Jewelbots curriculum is NOT compatible with Chromebooks) . We will be downloading the Arduino IDE to program our Jewelbots with. Be sure to bring a powercord and mouse if you prefer! If you’d like to bring several girls or attend the event with another pair, our form does accommodate that by allowing you to specify the quantity during registration. The minimum age requirement is the ability to use a mouse, as well as basic reading and computer typing skills. There is a worksheet provided for the parent/chaperone and daughter to work through, with mentors on hand to assist with the more complex topics. No, we do paperless check-in at the event. Refunds must be requested 48 hours before the event. We're a grassroots organization helping to grow the number of women in technology careers in Kansas City. Sign up for our newsletter or join us on slack to stay up to date with all of our events and be a part of our community!